Polygamy (called plural marriage by Mormons in the 19th century or the Principle by modern fundamentalist practitioners of polygamy) was practiced by leaders of The Church of Jesus Christ of Latter-day Saints (LDS Church) for more than half of the 19th century,  and practiced publicly from 1852 to 1890 by between 20 and 30 percent of Latter-day Saint families. Note that there are various denominations that are considered Mormons and they have different beliefs and practices. 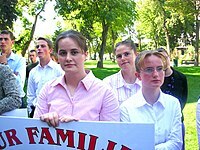 The Latter-day Saints' practice of polygamy has been controversial, both within Western society and the LDS Church itself. America was both fascinated and horrified by the practice of polygamy, with the Republican platform at one time referencing "the twin relics of barbarism—polygamy and slavery." The private practice of polygamy was instituted in the 1830s by founder Joseph Smith. The public practice of plural marriage by the church was announced and defended in 1852 by a member of the Quorum of the Twelve Apostles, Orson Pratt,  by the request of church president Brigham Young. There is a subtle difference between " sealing" (which is a Mormon priesthood ordinance that binds individuals together in the eternities), and "marriage" (a social tradition in which the man and woman agree to be husband and wife in this life). In the early days of Mormonism, common practices and doctrines were not yet well-defined. Even among those who accept the views of conventional historians, there is disagreement as to the precise number of wives Smith had: Fawn M. Brodie lists 48,  D. Michael Quinn 46,  and George D. Smith 38. The discrepancy is created by the lack of documents to support the alleged marriages to some of the named wives. In February 1882, George Q. Cannon, a prominent leader in the church, was denied a non-voting seat in the U.S. House of Representatives due to his polygamous relations. This revived the issue of polygamy in national politics. One month later, the Edmunds Act was passed by Congress, amending the Morrill Act and made polygamy a felony punishable by a $500 fine and five years in prison. "Unlawful cohabitation", in which the prosecution did not need to prove that a marriage ceremony had taken place (only that a couple had lived together), was a misdemeanor punishable by a $300 fine and six months imprisonment. It also revoked the right of polygamists to vote or hold office and allowed them to be punished without due process. Even if people did not practice polygamy, they would have their rights revoked if they confessed a belief in it. In August, Rudger Clawson was imprisoned for continuing to cohabit with wives that he married before the 1862 Morrill Act. It was not until 1904, under the leadership of church president Joseph F. Smith, that the church completely banned new plural marriages worldwide. Not surprisingly, rumors persisted of marriages performed after the 1890 Manifesto, and beginning in January 1904, testimony given in the Smoot hearings made it clear that plural marriage had not been completely extinguished. The ambiguity was ended in the General Conference of April 1904, when Smith issued the " Second Manifesto", an emphatic declaration that prohibited plural marriage and proclaimed that offenders would be subject to church discipline. It declared that any who participated in additional plural marriages, and those officiating, would be excommunicated from the church. Those disagreeing with the Second Manifesto included apostles Matthias F. Cowley and John W. Taylor, who both resigned from the Quorum of the Twelve. Cowley retained his membership in the church, but Taylor was later excommunicated. For public relations reasons, the LDS Church has sought vigorously to disassociate itself from Mormon fundamentalists and the practice of plural marriage. Although the LDS Church has requested that journalists not refer to Mormon fundamentalists using the term "Mormon",  journalists generally have not complied, and "Mormon fundamentalist" has become standard terminology. Mormon fundamentalists themselves embrace the term " Mormon" and share a religious heritage and beliefs with the LDS Church, including canonization of the Book of Mormon and a claim that Joseph Smith is the founder of their religion. 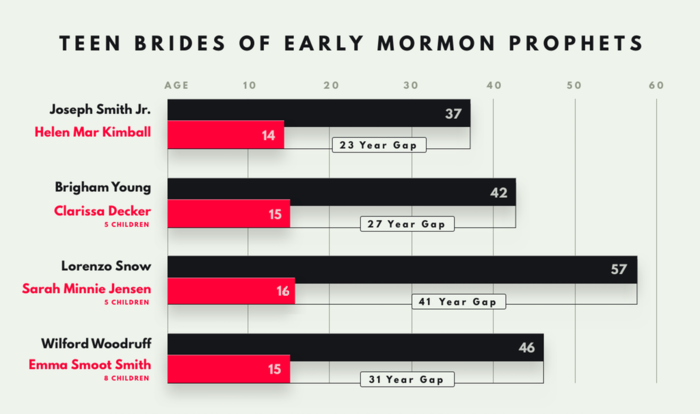 As early as the publication of the Book of Mormon in 1830, Latter Day Saint doctrine maintained that polygamy was allowable only if it was commanded by God. The Book of Jacob condemned polygamy as adultery,  but left open the proviso that "For if I will, saith the Lord of Hosts, raise up seed unto me, I will command my people; otherwise, they shall hearken unto these things." Thus, the LDS Church today teaches that plural marriage can only be practiced when specifically authorized by God. According to this view, the 1890 Manifesto and Second Manifesto rescinded God's prior authorization given to Joseph Smith. However, Bruce R. McConkie controversially stated in his 1958 book, Mormon Doctrine, that God will "obviously" re-institute the practice of polygamy after the Second Coming of Jesus Christ. This echoes earlier teachings by Brigham Young that the primary purpose of polygamy was to bring about the Millennium. Current official church materials do not make any mention of the future re-institution of plural marriage. ^ Orson Pratt, " Celestial Marriage," Journal of Discourses, reported by David W. Evans (7 October 1869), Vol. 13 (London: Latter-day Saint's Book Depot, 1871), 192–93. ^ Lyman Johnson as recounted by Orson Pratt, " Report of Elders Orson Pratt and Joseph F. Smith," Millennial Star, vol. 40, no. 50 (16 December 1878): 788.